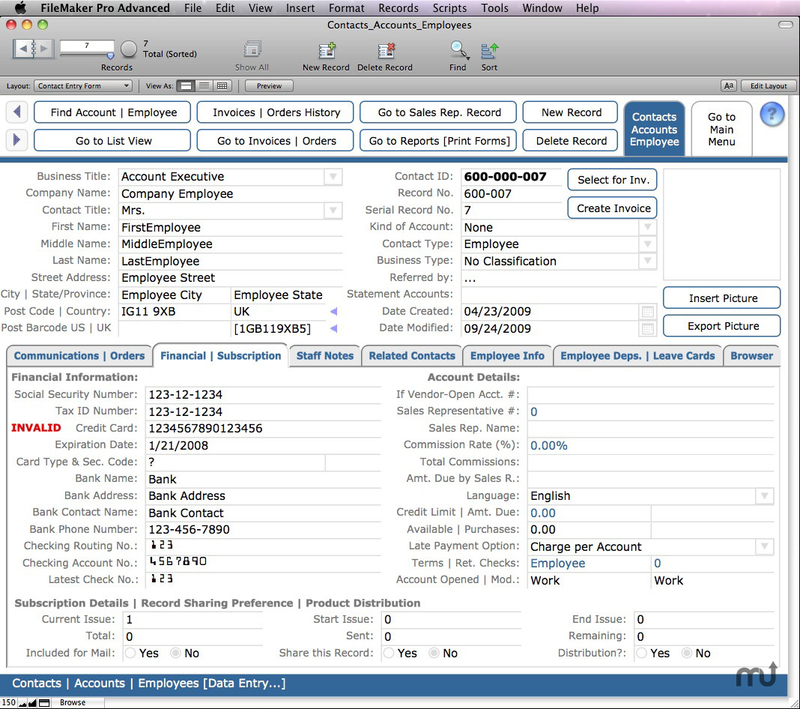 FileMaker runtime application for all business accounting. Is there a better alternative to BusAcc X? Is BusAcc X really the best app in Applications category? Will BusAcc X work good on macOS 10.13.4? BusAcc X is a FileMaker runtime application solution that doesn't need FileMaker to run and it is available for OS X 10.6 or later, or Windows XP or later. Files for all business accounting: Accounts Payable, Purchase Orders, Payroll, Activity (Letters, phone calls, emails), Checking Account, Contacts, Accounts, Employee Records, Employee Leave Forms, Employee Expense Report, Invoices, Orders, Point of Sale, Services, Estimates/Quotations, Rental Services, Engineer Services, Job Application, Memorandum, Messages, Products & Inventory, Profit & Loss, Time Cards, To Do List. Note: 13.0.3 is the version number reported in Finder; it is a reflection of the app's FileMaker runtime version. The developer refers to this version of the app as 5.1.0. BusAcc X needs a review. Be the first to review this app and get the discussion started! BusAcc X needs a rating. Be the first to rate this app and get the discussion started! Image for credit card calculation algorithm added. Fixed script (Print Invoice) to fix relationship and show invoices on the Invoices tab within Contacts | Accounts. Fixed script (Approve Order) in some instances it won't do the correct steps to approve the invoice. Shows the script to cancel an invoice or order. 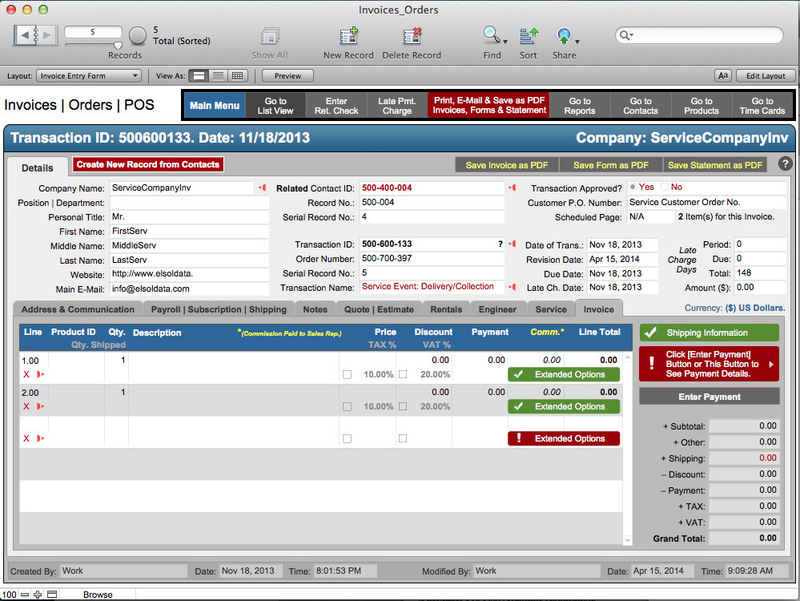 UI on the Invoice tab for simplicity, some Popover buttons added to make the use of this database file easier. Added Popover button to show the print, save as PDF or e-mail forms menu. Some scripts were fixed to perform the actions correctly.